The four standard SQL Server isolation levels that SQL Server provides are READ UNCOMMITTED, READ COMMITTED, REPEATABLE READ and SERIALIZABLE. (I leave aside the row-versioning levels for another day). SQL Server implements these isolation levels using locks. She invites us to visualize this scenario and so I did, literally. Enjoy! My own series on transaction isolation levels. A resource page on Isolation Levels compiled by Kendra Little. In the next few days I want to describe a way to modify the definition of very large tables while keeping the table available for other queries. Some table changes are already online operations. But offline changes need extra work to keep the table available. I explore one way to do that in this series. This article used to be a single blog post, but I broke it into four parts because it seemed too long. Read Part 1, and understand the strategy I’m using. Treat Parts 2-4 as appendixes. When you want to use this plan (or one like it), come back and use them as examples. You won’t be able to make use of the examples by cutting and pasting directly (unless you happen to be running an bike equipment store called Adventureworks), but modifications shouldn’t be too hard. 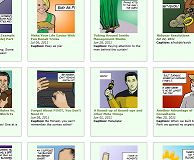 So Rob Volk commented on Part 3 of my blog. The comment prompted me to write a part five (which you’re reading now). So you can thank him for this bonus section. Copy the data over to the staging table the same way. In my SalesOrderHeader example, that code doesn’t change at all except that I replace “Sales.SalesOrderHeader_new” with “Staging.SalesOrderHeader”. Foreign keys: Although no renaming is necessary, they still have to dropped from and to the obsolete table. And foreign keys pointing to the new table still need to be added. Existing triggers: They should recreated on the new table. So dear reader, that’s the series. It was fun for me to explore in depth an intermediate topic. Thanks for bearing with me. I know the series was a little dry, but I figured that I wanted to use this walk-through for myself as a template for future migration projects and that if I thought it was useful, maybe you would think so too. This is part 4 of the series (you can consider this Appendix 3, The main article is found here). You should be able to handle each of these steps. Except that I want to explain exactly how I personally handle number 2: I use an application to send queries to the database many times. Sounds easy right? The trick is that I want to call the stored procedure many times at once. You might have noticed that this program is extremely boring. It’s just calling one stored procedure: s_DoSomething over and over as fast as it can. The advantage is that I’m free to modify s_DoSomething (which is for me a lot easier than modifying this application). This is part 3 of the series (you can consider this Appendix 2, The main article is found here). If a statement fails anywhere, it can be retried from the beginning with no lost work. This means for example that when data is copied to the staging table in batches, and that process is interrupted and restarted, the script “picks up where it left off”. The process is re-runnable. This means that if the script succeeds and for some reason the script is run again then no errors are raised and no work is performed. The last step, the switch, is an atomic transaction. It succeeds 100% or fails and rolls back 100%. I present without any further comment, the scripts (with error-handling). [Rowversion] rowversion NOT NULL, -- This is the new column!! -- assuming pk values are never altered. -- an error has been raised. Discontinue. -- rename original table to "old"
These make Sales.SalesOrderHeader interesting. So here’s the script (an implementation of the strategy already mentioned). You might be surprised at its size, it’s directly related to how interesting the table is. I don’t use any 2012-only features so you’ll be able to use these examples on SQL Server 2008 or SQL Server 2008 R2. Database schema changes are inevitable. Some of these changes can be performed quickly (like altering ntext columns to nvarchar columns). Changes like these don’t have to process every single row in the table and we say that these quick changes are online. Remus Rusanu talks about adding non-nullable columns as an online operation. I want to add a rowversion column to a table. (But the strategy applies to many other offline changes). My change can place an exclusive lock on the table, but only for a short amount of time. This means that the change should work concurrently with quick transactions, but not necessarily with large bulk transactions. It would be an advantage if this were a database-only solution because while I might understand the applications and processes that query my database, I don’t necessarily have as much control over when or how these queries are sent. B) Then I add triggers to the original table to keep the staging table up to date. Any changes in the original table will also be applied to matching data in the staging table. C) Fill the staging table a little at a time. This processing may take time, but the original table is still available to others. Dependencies I didn’t mention it yet, but we also have to worry about table dependencies. Tables can have a lot of dependencies (triggers, constraints, indexes etc…). You can create dependencies for the staging table, and rename them as well during the switch. Step D, the Switch: The last step is the tricky one. It’s the one that takes a schema modification (Sch-M) lock on the tables. A Sch-M lock on the table is incompatible with every other kind of lock. So that means that no in-flight transactions are allowed to use the table during the switch. SQL Server handles it pretty well, but if there are long running queries on this table, there will be blocking. In part 2, I implement this strategy for Adventureworks’ Sales.SalesOrderHeader table which seems to demonstrate every kind of table dependency SQL Server allows. In part 3, I throw in error handling code to make the script more robust. So that if things go wrong, the application doesn’t notice and I don’t lose data. 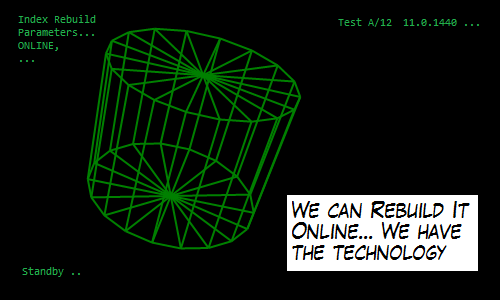 In part 4, I explain the testing I do. It gives me more confidence that I don’t miss an update or a delete somehow. I posted a question on dba.stackexchange.com to look for some strategies. The answer I got there (thanks Brent!) is slightly different than the solution I’m describing here. Brent described a solution which used a view that UNION’s the staging table and the original table. It uses less space than the solution I describe, but it’s got some extra gotchas. Some of this work was done in the course of my regular job. So thanks to Desire2Learn for letting me share some of the lessons I learned there. By the way, we’re hiring. So I was recently reading SQL Server’s blog, specifically the article Customers using SQL Server 2012 today! and some brave businesses are already using and enjoying some of SQL Server 2012 features that help their databases stay available. I’m excited about the new features too. For example, index rebuilds have been improved. We can now rebuild indexes online that include “blob” columns (like nvarchar(max), image, etc…). This means that (almost) every index can be rebuilt without requiring a table lock for the entire operation. And that’s good news for availability! Hmm… that really doesn’t clear things up too well either. And I haven’t even mentioned partitioned indexes. Maybe you’re like me, you may have to deal with multiple versions, multiple editions, and multiple tables and their indexes. 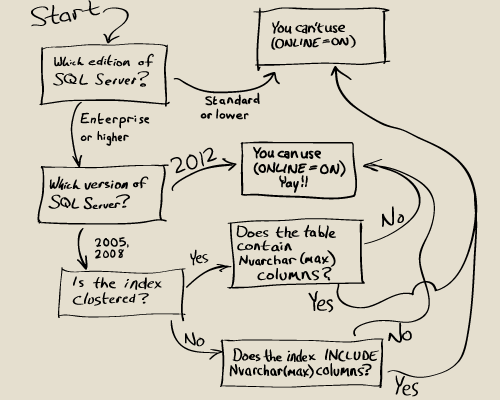 Instead of wading through that logic above, just TRY it and let SQL Server figure it out. Here’s a sproc which takes a table name and index name and tries to rebuild the index online. If it can’t, it builds it offline. Alternatively, you can adjust the script to REORGANIZE an index when it can’t rebuild it online. By the way, if you use Ola Hallengren’s maintenance scripts, he’s already taken all this logic into account! If you write your own maintenance scripts, feel free to incorporate what I have here. So last week, I mentioned that if an application takes it’s time processing data returned from a query it executed, it will not cause ADO.net to time out. 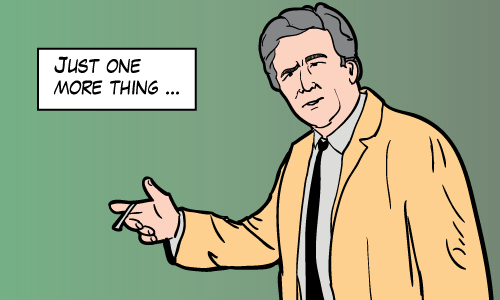 This week I’m going to qualify that and on the way, I’ll explain a problem associated with “lazy” readers. I’ll talk about what lazy readers look like from SQL Server’s point of view. 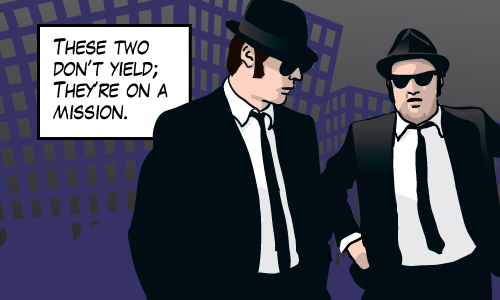 And I’ll talk about a potential pitfall with the C# keyword “yield“. Your database query is still active! And resource locks that were taken to process your query are still held! For example, you might be using READ COMMITTED SNAPSHOT isolation level (which is “READ COMMITTED with more awesome” according to Kendra Little). Because even though your query is still using the same number of resources, there’s a smaller risk of seeing concurrency issues. Or if you’re using the default isolation level READ COMMITTED (which you probably are) SQL Server might have given up some of the locks that have been acquired while processing your rows. In this case, the number of locks held at any time is fairly small. And you might not see any problems (at first). More likely, your query will be doing something that’s not simple. It could be using a sort, or parallelism or a particularly involved join. In that case, the query will hold onto the locks it uses without releasing them. Then you might have concurrency issues. 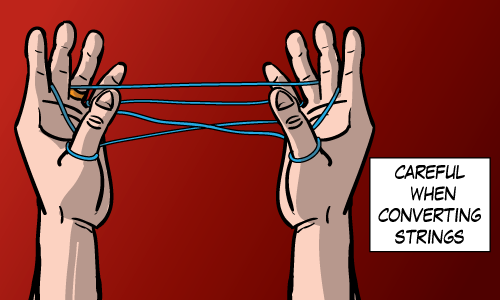 Concurrency problems lead to deadlocks and excessive blocking. All because of the processing on the client side took too long. How do you know if this is a problem in your case? Look at the wait stats that are collected with sys.dm_os_wait_stats system view. (Or even better, look at Glenn Berry’s DMV query that reports on the same thing). Now take a look at the top wait statistics. If SQL Server is waiting on a client to process data, you’ll see ASYNC_NETWORK_IO as one of the top wait statistics. One interesting note about SQL Server 2012. I noticed that you might see this wait stat instead: PREEMPTIVE_OS_WAITFORSINGLEOBJECT. That tells you whether this has been a problem since the last server restart. 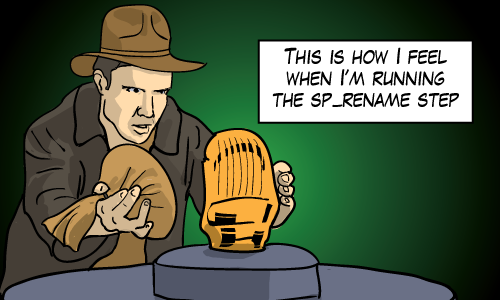 But if you want to know if the database is waiting on some client right now, you can use sp_whoisactive by Adam Machanic. (You could also query sys.dm_exec_requests, or in a pinch sys.sysprocesses). Again, if you see a query waiting on things like ASYNC_NETWORK_IO or PREEMPTIVE_OS_WAITFORSINGLEOBJECT, then that query is waiting for a lazy client application to read its data. Sometimes it can be tricky to tell whether code will be processed quickly or not. If your data rows are yielded to the calling procedure, then the processing speed is no longer under your control. In this next example, we can’t tell by inspection how quickly the data will be processed. To do that, we have to look at all the places where this method is called. I’m super excited about this month’s T-SQL Tuesday, for a couple reasons. 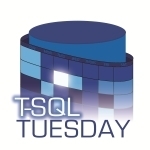 First of all, this month’s T-SQL Tuesday is hosted by Brad Schulz. Brad is a guy that I got to interview a couple years ago. Second, is that the topic is Sprox ‘n’ Funx (Stored Procedures and Functions). Which I like because the topic is nice and technical. 250: The largest size in megabytes allowed for the source text of a stored procedure. 2,100: The largest number of parameters allowed for a stored procedure. 32: The maximum number of nested levels allowed for stored procedures. 1,598: The number of mentions in sys.messages that contain the word procedure. 858: The number of mentions for function. 389,000: The number of Google results for should use stored procedures. 29,500: The number of Google results reported for should not used stored procedures. 1 in 866: The odds that a random word taken from MichaelJSwart.com is procedure. 1 in 879: The odds that a random word taken from the 2011 State of the Union address is budget. 18: The number of participating blogs in Brad Schulz’ T-SQL Tuesday on the subject of stored procedures and functions. * ~ Lives of the Irish Saints (1875) mentions a St. Sproc daughter of Colum. I am not making that up!